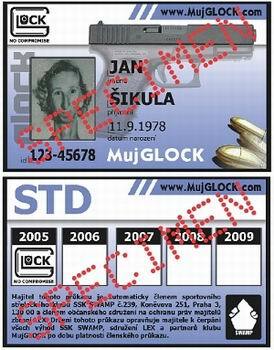 česky | english Do you want to be a member of MujGLOCK Club? Do you like these pages a do you want to support them? We have secondary expenses with running this web server and also we would like to offer our members some real advantages. So we offer you these two options of membership and support of this server. Currently we are looking for other partners in all regions of the Czech Republic or worldwide. Especially welcome are arms dealers and gun range owners. We can offer collaboration in the form of recommendations or advertisement for shops, gunranges etc. in a particular region of CZ. We do not refuse collaboration even with other subjects.